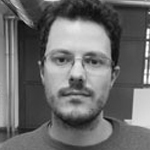 Giovanni Tomaselli it’s a Phd Student at Civil Engineering department since November 2016, his research it’s focused of Strengthening of Masonry Structures with Composite Materials. He previously studied in the University of Catania at the Istitute of Civil Engineering, where he graduated in July 2014. From August 2014 to October 2016 Giovanni worked as Structural Engeneer in a Office, achieving experience with bulding made in Concrete, Masonry, X-lam and Steel. In 2016 Giovanni attended “Digital Forensics Course”, “Building Wood Houses” course and “Seismic adaptation with composite materials” course. In January 2017 Giovanni attended FRP Training Course “Reinforcing and strengthening of structures with FRP reinforcement” in Ghent University, thanks to a fellowship award from COST Action.